I am passionate about education and providing access to education for children in need as well as poverty alleviation. 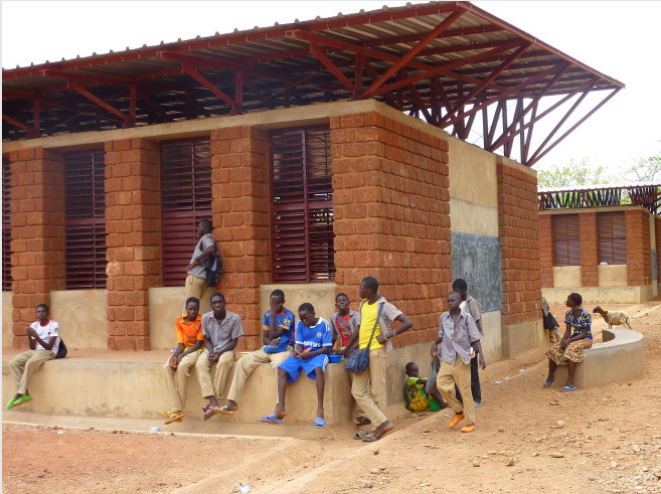 I had the opportunity to be a part of a team that raised funds to contribute to the building of Bethel Secondary School, Gourcy, Burkina Faso, West Africa. This was an education initiative to break the cycle of poverty organised by Giving Africa, a charity working to empower African children in poverty through education, in partnership with Article 25. Burkina Faso is a landlocked country in West Africa. It has faced numerous challenges, including military coups until the 1980s, recurring droughts and high rates of HIV/AIDS. The poor quality of education is also a big problem, with Burkina Faso ranking 181 out of 187 countries for education based on Human Development Index scores. With access to an adequate level of education, inclusive of the infrastructure for education, Burkina Faso has a greater potential to break the cycle of extreme poverty through sustainable education. Bethel School after building completion! I was the only representative from Movement for Hope (MfH) and I summited Mt. Kilimanjaro with dancers from at Awareness Through Dance in aid of Giving Africa. I summited Mt. Kilimanjaro’s third peak, Uhuru Peak (Uhuru means ‘Freedom’ in Swahili) at 5895 meters on July 4th, my brother’s birthday. My brother was quite ill at the time and I remember vividly the imagery that got me to the top of the mountain was quite powerful visuals that were able to ignite gratitude and grit. For fun, the dancers that I was with invited me to learn some choreography with them. We danced ‘Pippin’, Manson Trio on the mountain at 4,350 meters. The video evidence is below and at 4,350 meters my watch warning is that we were all a bit loopy on thin oxygen! Overall, climbing Mt. Kilimanjaro was one of the most glorious and horrific experiences I’ve ever had. It was incredible to be above the clouds and I will never forget summiting Uhuru. It was mentally and physically exhausting, but the thoughts that I had in the final stretch to the peak are so unexpected and powerful that I’m sure they will get me through other challenges in life. 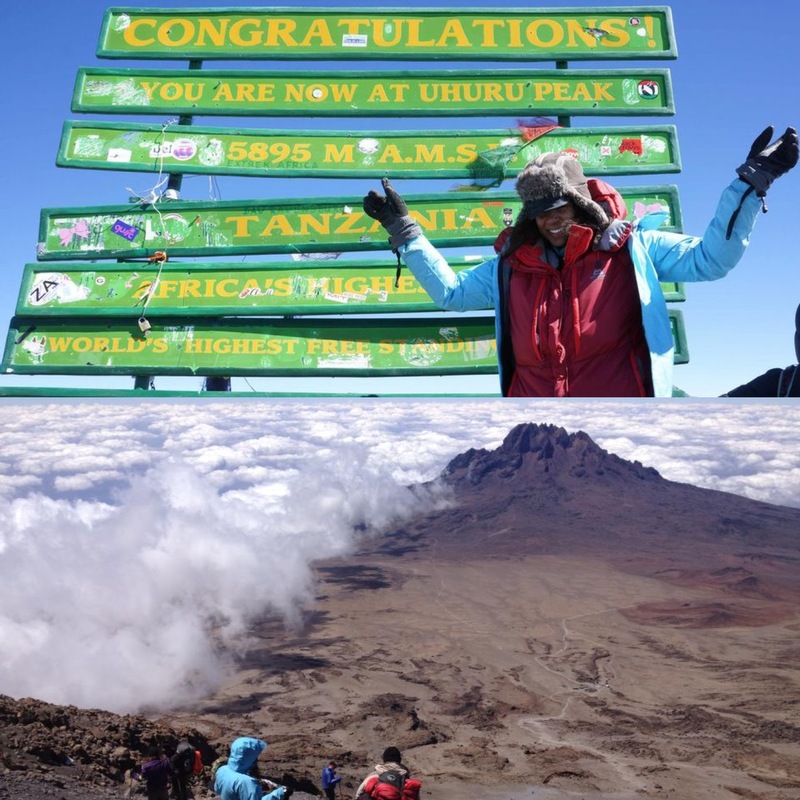 I was successful in completing the challenge because of people who couldn’t physically do it and I was very grateful for my friends and family on the ground, whilst I was on the mountain.